The Inn at Virginia Mason hotel is connected to the Virginia Mason Hospital, in Seattle, and located only four blocks from downtown Seattle. The Inn provides convenient hotel accommodations in a caring environment for patients and their families, making your stay comfortable and hassle-free. Affordable short- and long-term rates are available. The Inn features 79 remodeled guestrooms and nearby parking. Room service is available seven days a week through Virginia Mason. Book your hotel reservation online and receive our exclusive medical rate. You may also call (206) 583-6453 to make a hotel reservation. Ask for promo code: Medical. Learn more. The Baroness Hotel is located on the Virginia Mason Hospital & Seattle Medical Center campus and specializes in catering to patients and their families. The Baroness is known for its "home away from home" atmosphere and old-Seattle charm, while providing an affordable option to make your stay comfortable and hassle-free. The hotel features 57 unique guestrooms with kitchenettes and is within walking distance of parking areas, restaurants and downtown Seattle. Room service is available seven days a week through Virginia Mason. Short-term and long-term rates are available. The entrance to the Baroness is at 1005 Spring Street. Please call (206) 583-6453 to make a reservation. Ask for promo code: Medical. Learn more. Cash machines are located on the fourth floor of the hospital near the elevators and the Gift Shop. The Chapel at Virginia Mason is located on the Hospital Level 4 between Admitting and the gift shop. The chapel is set aside as a space for quiet reflection and prayer for patients, family and staff. It is open 24 hours a day, seven days a week. Our non-denominational chaplains are available to provide counseling, compassionate listening, crisis intervention, grief and bereavement resources, and patient advocacy. Contact the Department of Spiritual Care by calling (206) 583-6463, ext. 36463. Chaplains are available by pager 24 hours a day. Referrals may be left on voicemail, or for immediate assistance, call the operator to request the chaplain on call. Representatives from various faith backgrounds are available for patient visits. Please call the Spiritual Care office at (206) 583-6463 to make this request. Room Service — Patients and their visitors in Virginia Mason Hospital may order the meal of their choice from our room service menu between 6:30 a.m. and 8 p.m. daily. Meals are made to order and are delivered directly to the patient's room. Four Seasons Cafe — The Four Seasons Cafe, located on the fourth floor of the hospital, offers full meals, a deli with sandwiches made to order, snacks and vending machines. Meals are served from 6 a.m. to 7:30 p.m. seven days a week. Rhododendron Café — The Rhododendron Café, located at the Inn at Virginia Mason on Spring Street, offers breakfast, lunch and dinner daily, a courtyard for outdoor dining, and a full service bar. Open seven days a week at various times. Breezeway Brew — Starbucks brand coffee, pastries, sandwiches and snacks are available in the breezeway just east of the hospital lobby. Open weekdays from 6:30 a.m. to 5 p.m. and Saturdays from 7 a.m. to 1 p.m. Vending Machines — Vending machines with a wide range of snacks and beverage options are located outside the Four Seasons Cafe on the fourth floor of the hospital. Located near the cafeteria on the fourth floor of the hospital. Learn more about the Gift Shop at Virginia Mason. 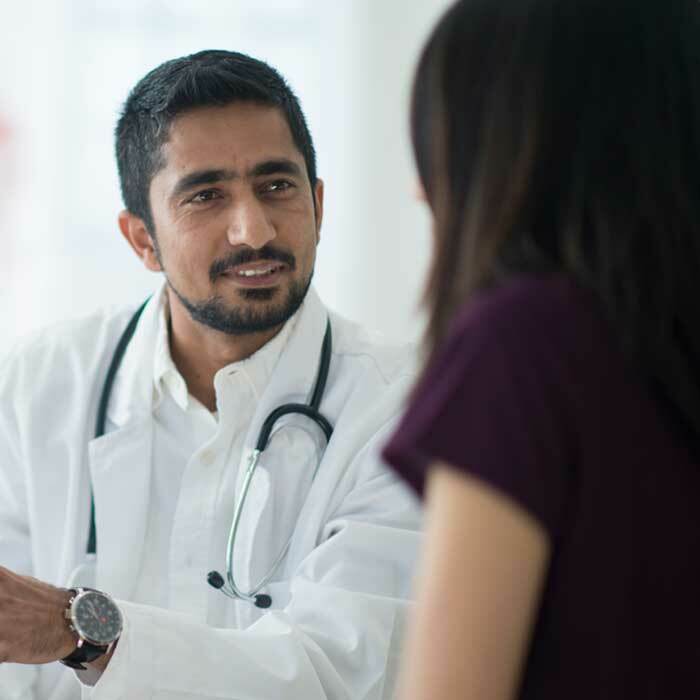 As a complimentary service, Virginia Mason provides qualified medical interpreters to all of our limited English proficiency and hearing impaired patients. 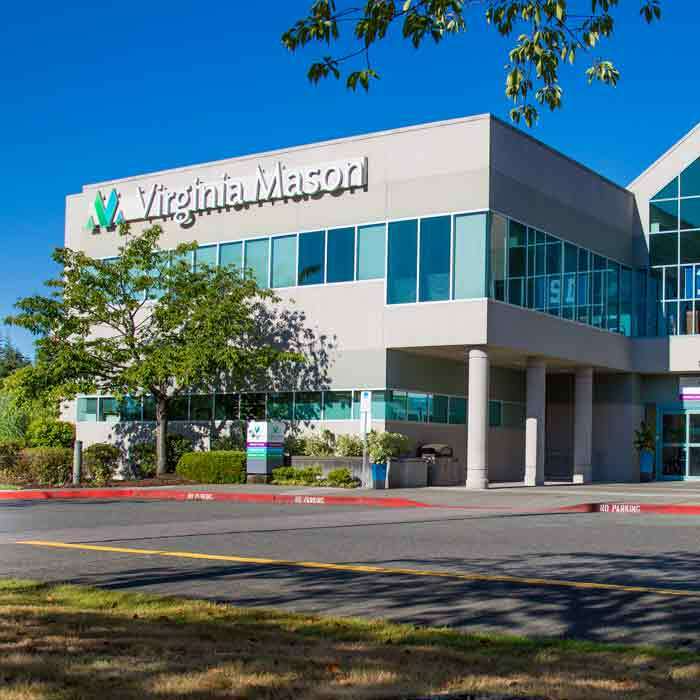 Patients, family members and Virginia Mason staff members can request on-site and telephonic interpreters 24 hours a day, seven days a week. 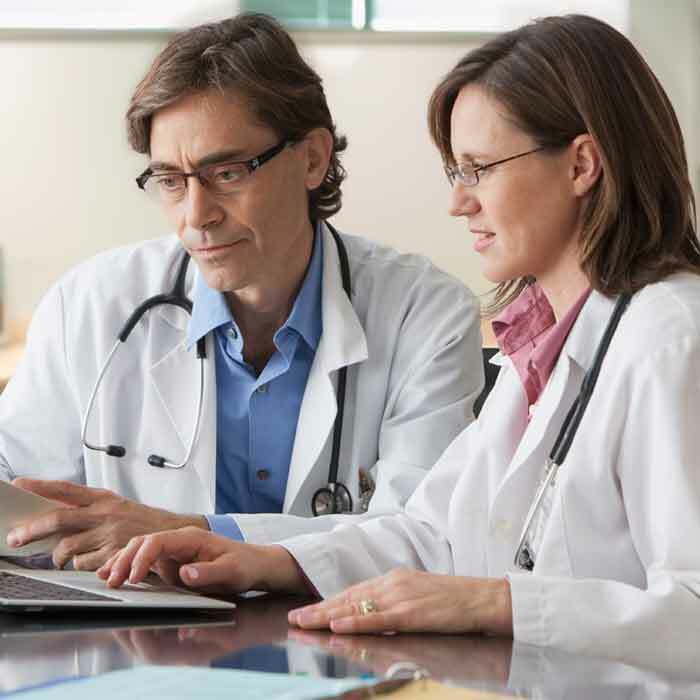 To request an interpreter, contact your provider's office and specify your language preference. Each hospital room is equipped with a color television, featuring major local television stations. Wheelchairs are available for patients, family members, friends and visitors, free of charge, at all Virginia Mason locations. Most wheelchairs can be picked up near a front desk check-in area or near admitting. 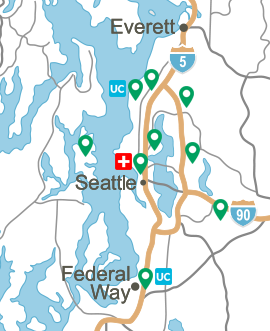 On the Hospital & Seattle Medical Center, wheelchairs are located near the Lindeman Pavilion front desk (Level 2), Buck Pavilion front desk (Level 1) and Hospital admitting (Level 4). Wheelchairs are available near the front desks of all of our neighborhood clinics. If you have trouble locating a wheelchair, speak with a front desk staff member. 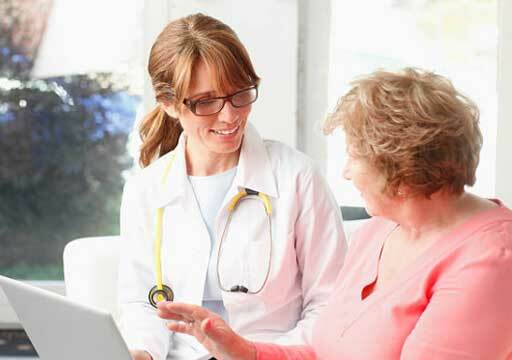 Virginia Mason offers free wireless internet access to our guests and patients. Wireless access is available in waiting areas, lobbies and in the hospital breezeway on level. Wireless access is not available in hospital patient rooms at this time.